Spring is my favorite season for many reasons: longer days, beautiful blooms and more than ideal weather. While the next few weeks are quite busy, home projects aside, Justin and I are excited for our schedules to free-up so that we can relish in the beautiful season. 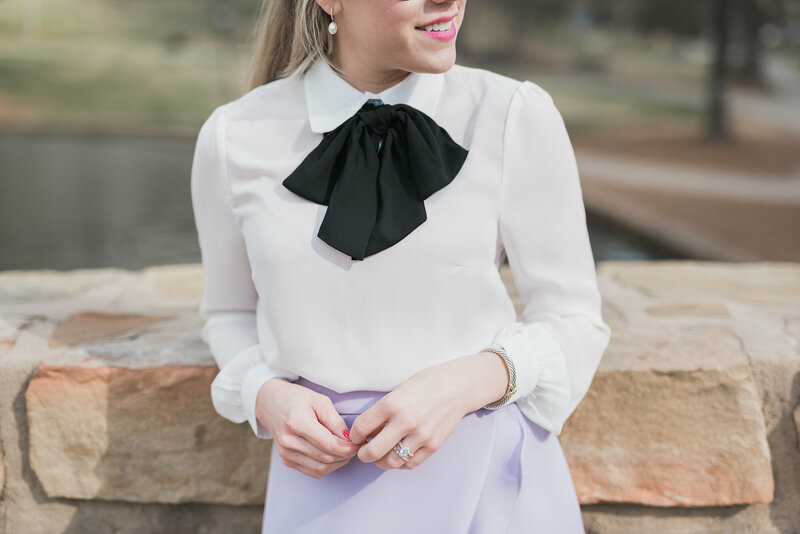 With spring breaks happening, Easter right around the corner, and lots of lunches and showers taking place, there is no better time than now to scoop up new pieces, like this ruffle skirt from Club Monaco. In fact, we are headed down to Charleston this weekend with a few friends to run the Cooper River Bridge Run, and I’m excited to stop by Club Monaco and a few other favorites while visiting the city. This week a good friend is in town visiting before she moves to Australia so I am spending as much uninterrupted time with her as possible. And, as I mentioned before, on Friday I’m off with my husband and few friends to my favorite Southern city for a few days only to hit the road again for a fun event in Virginia. Next week I am sharing a few updates on our house and I am especially excited to share my garden with you. It’s a small work in progress, but I’m really proud of it. Speaking of which, yard work is no joke! If I had to choose, I would say that Justin and I have enjoyed working in our yard the most. It’s so rewarding at the end of the day.